I drop the letters in the slot and look up. My heart skips a beat. My breath catches in my throat. My palms become instantly clammy. 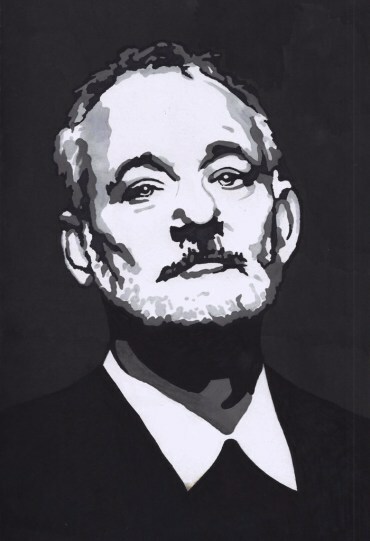 I realize the man’s voice that had not mattered to me 3 seconds earlier belonged to the one, the only, Bill Murray. He was just out for a bike ride and said hi to ME. I have never seen an old man pedal a bike so fast in my life. He was gone; my dreams were forever crushed. Bill, if you read this, I am sorry for my behavior. If I ever meet you again, I’ll do better, I promise. Image credit: Bill Muray by Eurasian17 on deviantART.